This is not the Crisis post James has been working on. This is a smaller scale of how the Crisis appeared from the point of view of Earth's heroes in the TVCU mostly. James' version is a bigger picture. This is a timeline of all events that occur before, during, and shortly after the Crisis. This timeline is adapted and expanded from the Crisis flowchart in Crisis on Infinite Earths Crossover Index #1 of 1. 4.4 billion years ago: Using his special time-bending device, the mad scientist Krona gazes unto the beginning of the universe. He unwittingly creates an anti-matter Universe, home of the world Qward. Krona witnesses the creation of the Shadowlands, also called the "Primordial Darkness," which is actually the Anti-Monitor's hand, rising up from the chaoplasm oceans of Hell. Krona's actions prompt the Guardians of the Universe to create the Manhunters and later, the Green Lantern Corps. NOTE: The "Hand of Darkness" first appeared in Green Lantern v.2 #40, first chronological in Crisis #10, and first explained in Swamp Thing #50. In pre-Final Crisis continuity, this event also sets in motion the birth of the Monitor and Anti-Monitor. In current continuity, these entities were birthed by the first Monitor's first entrance into the multiverse. April 1 to 12, 1942--ALL-STAR SQUADRON # 54 to 60--"The Crisis Comes to 1942"--The skies turn blood red, strange weather patterns occur, and movement between time and realities becomes easy and accidental. Because of this, Mister Mind of the Captain Marvel Universe discovers the TVCU and gathers together villains as his first Monster Society of Evil. Later, they must deal with a time travelling robot (from the future of METROPOLIS.) Eventually, the world is restored to normal without anyone really knowing what happened. The Story: Four great super-villains who had worked to support Hitler see that the Third Reich is soon to fall and go off for ten years under new identities. Rotwang takes up the identity of Dominus Blicero in California. Leonard Orlok becomes Leonard Von Braun in France. M becomes Morel in Argentina. And Ohisver Muller goes to Turkey but keeps his own name. In 1954, they gather again with a plan to create four pocket realities of which to rule their own ways. Rotwang creates his Metropolis. M creates Marienbad. Muller created Mullartown. And Von Braun creates Alphaville. Notes: Ready? Orlock is stated to have had a vampire ancestor, referring to Nosferatu. When the mad scientists discuss the multiverse, there is mention of the reality of Stephen King’s Dark Tower series. Rotwang’s Metropolis dimension is from the silent film Metropolis. Thus, as far as the Horror Universe is concerned, that film takes place between 1954 - 1964 in an artificial pocket dimension. Dr. Mabuse is from a series of silent films. The Crisis on Infinite Earths was a 1985 - 1986 mini-series by DC Comics. In it, all of the infinite alternate realities were threatened. Every major DC Comics character appeared. In the end, the multiverse was destroyed and replaced with a single DC Universe. However, shortly after, it was shown that other realities did still exist, and actually only a finite number of realities (the DC ones) were mushed together, and even then, shadows of those previous versions still existed in Hypertime. But non-DC owned realities still had inter-company crossovers showing that the DCU was not alone. And some of those other realities had even shown that they were somehow affected. Companies like Marvel Comics would display that the Crisis did reach all the way to them, but had little effect. Thus, we can assume based on this story, since these scientists in 1954 were aware of the Crisis (which affected time as well as space), then the Horror Universe must have been one of those realities that was not destroyed but still felt the effects, at least briefly. So, having said all that, we should note that the external time/space anomalies may have reached the Horror Universe, but the DC characters in that series were all from their DC Comics realities, and not the Horror Universe, even if the Horror Universe does have some counterparts to DC Comics characters. Alphaville is a 1965 French black and white film about an alternate reality that combines film noir with science fiction. Rotwang’s alter ego as Blicero was the main foe of the novel Gravity’s Rainbow. Though published in 1973, it is set during that 1944 - 1954 period. Mullartown (aka the House of a Thousand Floors) is a 1929 novel by Jan Weiss about a man who wakes with amnesia in a place that isn’t quite right. Last Year at Marienbad is a 1961 French film that is also very bizarre, about a man who seems trapped in a dream-like reality. In The Invention of Morel, a fugitive in Polynesia finds his reality coming apart and doesn’t know if it’s food sickness or something else. The Castle is the setting of said castle in the novel of the same name and also the location where the agent who comes to stop the villains meets his contacts. Michael Moorcock has several comics.that occur in separate but interconnected realities. His multiverse is also mentioned, which implies that the Horror Universe is part of the same Omniverse as Moorcock’s multiverse and the DC Multiverse. The Chronicles of Amber is a series of fantasy novels, which are mentioned by the scientists as existing as an alternate reality in this multiverse. Wampus is a French comic book character, later brought into modern literature by Jean-Marc Lofficier. He also seems to exist in one of the alternate realities connected to the Horror Multiverse. Within the story, it’s shown that the Bunker Palace Hotel, from the 1989 French film of the same name, exists within the pocket dimension of Alphaville. The 1985 film Brazil is also shown to take place in the Alphaville pocket dimension. Meanwhile, King Ubu (Ubu Roi) is from a French improv play that originated in the 1890s. In this story, we find that he exists in the Outlands. This may be a reference to the short lived spin-off of the comic strip Bloom County. Oh, and yes, I just did a Crisis crossover!!! In the 1960s, the three Universal Protectors (the Great Unknown, Allorin Vonski, and Zeus) sensed the coming of a crisis so great all of the multiverse would be threatened, and Earth would be at the center. The three decided they each needed to create a champion to fight for their world, and so the three each chose one of three sisters, who would give birth to their champion. the countdown to the Crisis began. the Powerkid Family came about, in preparation for the Crisis. Michelle was already operating in times of emergency as Super Baby. The next to join would be Chris' girlfriend. In 1984, it was revealed that Allorin Vonski, an immortal sorcerer, also referred to the Wronskiverse as Earth-B. Then a year later, in the Crisis Within, it was revealed that the Monitor also referred to it as Earth-B, and also identified Earth-B to be the same Earth-B that DC Comics uses as its continuity error Earth. July 1985--CRISIS ON INFINITE EARTHS--Following the first film, all the other films feature different versions of Audrey and Rusty, with varying ages. Additionally, the Griswald home isn't always the same, and even the spelling of the Griswald name changes. I'm not saying that the Crisis had something to do with it, but I am saying it. Apparently, for some reason, between each Vacation film, there is some sort of altering of the timeline. And then, in the summer of 1985, came the Crisis on Infinite Earths. The skies turned blood red, and weather patterns abounded. And then, various time periods merged. Powerkid and his allies worked hard to keep order, then suddenly they found themselves aboard a satellite, with heroes and villains from past, present, and future, and from many alternate realities. There were speakers, who told of the Anti-Monitor's plot to destroy all positive matter universes. Powerkid and his allies were sent on a mission to the anti-matter universe to stop the Anti-Monitor, and Powergirl sacrificed her life in the battle. LATE JULY 1985--CRISIS ON INFINITE EARTHS/JUSTICE LEAGUE OF AMERICA/INFINITY, INC.--Per Degaton and Mechanique attack a team of heroes based in Detroit that are calling themselves the Justice League of America and a group of the offspring of the JSA. NOTES: THE CRISIS IS A HUGE TIME/SPACE EVENT THAT JAMES BOJACIUK WILL BE COVERING IN A FUTURE book POST. THE "SUPER FRIENDS" ARE STILL OPERATING AT THIS TIME, BUT THIS DETROIT TEAM WAS CREATED OUT OF ANGER BY AQUAMAN WHEN HE FELT THE JLA WAS LACKING IN RESPONSE TIME. THE TEAM CALLED INFINITY INC ARE THE KIDS OF THE JSA, WHO DISBANDED IN THE 1950S. DURING THE CRISIS, A VILLAIN FROM THE FUTURE CALLED THE TIME TRAPPER TAKES ADVANTAGE OF THE WEAKENING OF REALITIES TO ONCE AGAIN MAKE THE WORLD FORGET ABOUT SUPERMAN AND OTHER SUPER-HEROES, SO THAT AFTER THE CRISIS, THOUGH THESE HEROES STILL EXISTED, THE WORLD IS LIKE ONE IN WHICH THERE ARE NO SUCH THINGS AS SUPER-HEROES. THE TIME TRAPPER THEN ALTERS THE MEMORIES OF CLARK KENT JUNIOR AND HIS PARENTS. IN THIS DISTORTED REALITY, BABY CLARK IS FOUND BY JONATHAN KENT (COUSIN OF THE KENT BROTHERS) AND MARTHA CLARK KENT (COUSIN OF THE CLARK SISTERS) IN SMALLVILLE BY NO COINCIDENCE. THIS BABY IS ALSO NAMED CLARK JOSEPH KENT II AFTER THEIR FAMOUS JOURNALIST COUSIN. HE EVENTUALLY MOVES TO THE GREAT METROPOLIS OF NEW YORK TO BECOME A JOURNALIST AND MAKES HIS DEBUT IN 1986 AS WHAT SEEMS TO BE THE FIRST AND ONLY SUPERMAN. THIS CLARK DOES HIDE HIS EXISTENCE FOR THE FIRST FIVE YEARS OF ADVENTURES BUT IS FORCED TO GO PUBLIC, AND THEN DOES NOT TRY TO HIDE FROM THE PUBLIC AFTERWARD, YET MOST PEOPLE STILL DON'T RECOGNIZE HIS EXISTENCE, DUE TO THE SPELLS OF BOTH THE WIZARD AND THE TRAPPER COMBINED. During the events of the Crisis on Infinite Earths, all of the DC Multiverse was destroyed or merged together. At first it appeared if Earth-B had merely been placed in a pocket space, merged with Earth-5. But very quickly it was revealed the Super Comics characters were now living on the post Crisis DCU. Powerkid had no time to mourn, as Doctor Deadly has stolen a device called the Universal Transponder, in which to destroy Powerkid's universe, and re-create it in his image, using the added anti-matter energy. He was defeated, as was the Anti-Monitor. After the Crisis, and the tragedy, the Powerkid Police felt it was time to call it quits, and the silver age ended. 1985--THE GREATEST AMERICAN HEROINE--Ralph's secret identity is revealed and he becomes a celebrity, which goes to his head. Thus the aliens take the suit from him and give it to a woman who trains under Bill and uses her powers to do exciting things like rescue kittens. I'm sure the aliens found a way to discredit Ralph (and maybe Bill helped) so that it turned out the public thought it was all a hoax. Note in July 2008 it was announced that there will be a GAH comic, but I don't know when it will be placed. Also note there is a GAH fan page on Facebook, and the actor William Katt is one of the admins. This actually works with Ralph's celebrity. Ralph would still try to keep his fame alive by having his own Facebook page. I have moved this final episode of the series to a year earlier. The show actually ended in 1983, and this final episode was made in 1986. But there's no reason it couldn't have happened in 1985. Why is that important? In July 1985, the Crisis on Infinite Earths happened. Due to the reality altering affects, and the interference of several powerful beings, most of the world was made to forget about the existence of aliens, super-humans, and costumed crime fighters. So Ralph may have gone public, but then, the world forgot. Ralph himself remembered, and he and Bill may have tried to keep people remembering, which is why they are part of pop culture history, but nobody really remembers the full events anymore, especially the outing. February 1986--SEINFELD--"The Susie"--The series events actually take place before the show aired, thus it's placement here. George Constanza has an answering machine message that spoofs the theme to the Greatest American Hero. Just a year earlier, Ralph went public. However, that song was a hit in 1981, even in the TVCU. Likely though, the song was played at press conferences and appearances, thus Ralph and the song were linked publicly. However, the events of the Crisis have made everyone forget about Super-Ralph as being a real super-hero. September to December 1986--HEROES--No, not the show from NBC. I came up with it first, so NBC executives, I'm still waiting for a check. In this story, Doctor Deadly has created an alliance between several alien worlds in a plan to invade Earth. Angela, princess of Booer, travels to Earth to warn Powerkid, and they head to Death Planet, Deadly's home, to stop him. Meanwhile, Vonski enlists Zap, Master of Power to assist Powekid, because Powerkid is too bitter after the Crisis to turn to his former teammates for assistance. Also, Deadly's wife, Teela (from Masters of the Universe) comes to Earth to recruit the hero now called Speed Demon who was once Speedy. The three heroes who originally faced Doctor Deadly in 1982 end up working together again against Deadly's forces on Death Planet. Meanwhile, the crew of the Galaxy V commanded by Captain Robert Bossman arrive, having been accidentally transported from the year 3082. (This is a alternate future of a reboot version of Space Patrol called Star Patrol. ) The crew from the future never run into the present day heroes. Eventually, the Star Patrol crew get sent back home, and the other heroes wind up back in Orange, where they are joined by other heroes Fireman and Bob Zan. The combined heroic efforts end up repelling the invasion. The heroes present choose to form a new Heroes of Earth team, realizing the absence of the Powerkid Police almost cost Earth its freedom. 1987--IRON MAN # 217--The Griswolds (note spelling is the same as in Christmas Vacation!) go to Disney Land to find it had been closed for the day by Tony Stark. So in my Hulk/Avengers blog post, I have currently placed the Iron Man movies in the TVCU while the comics are in a divergent timeline. And that could work here, placing this in that divergent timeline. However, after nearly four years of the blog, James and I, along with input from other members of the TVCU Crew, have discussed fine tuning some of the mythos, and I'm in the process of doing so. Not coincidentally, James is working on a post regarding the Crisis, inspired by DC Comics' 1985 attempt to refine their continuity, which is celebrating its 30th anniversary this year. In the revised mythos, the Horror Universe take on super-heroes is being adapted, in which the original Marvel Universe characters of the silver age operated from the 1960s to around 1984, then retired, only occasionally returning to duty in dire emergencies. That would place this story as one of those isolated incidents involving Iron Man after retirement. So what of the Iron Man movies, which had been included in the main TVCU? 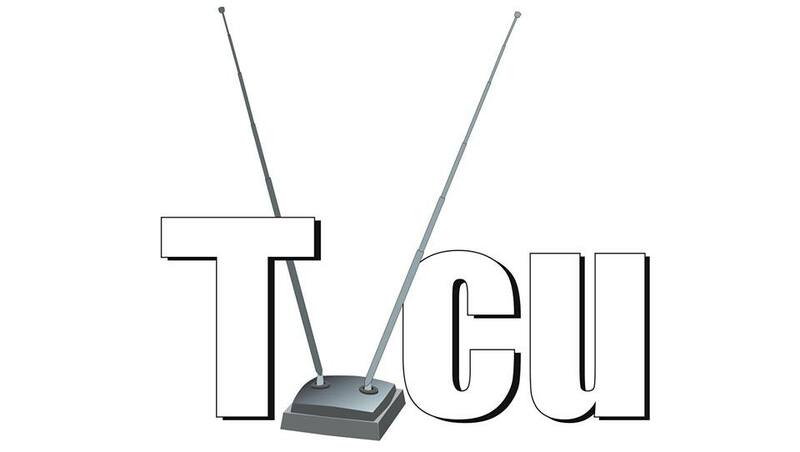 In our new view on alternate realities, the TVCU is part of a Television Crossover Multiverse. The TVCM is a series of divergent timelines (called Hypertime) that all stem from one singular reality, but likely due to time travel interference, splintered off into parallel universes. Since Ash Williams is in the TVCU, and Marvel places Ash's world as Earth-818993, that means that the TVCU is Earth-818993, and the divergent timelines are part of a Hypertime that is also Earth-818993 in the larger Marvel Multiverse. This theory is arrived at in the Horror Crossover Encyclopedia, and in the Horror Crossover Encyclopedia, it's also demonstrated that the Hypertime of the Horror Universe (aka the TVCU) is likely the same Hypertime of the DC Universe in its post-Crisis era. That was written at a time before I knew that DC had plans to return the pre-Flashpoint DCU in their 30th anniversary Crisis event. DC has now restored their Hypertime concept as canon. But back to Iron Man, if the TVCU is part of the Marvel Multiverse, then the Iron Man movies take place in the same multiverse as the TVCU, in a separate universe designated by Marvel as Earth-199999, or simply the Marvel Cinematic Universe (MCU). This means that the Captain America film that references Indiana Jones and the Guardians of the Galaxy movie that references Slither are on Earth-199999. With this chronology, I am redefining the TVCU’s place in the multiverse. I think many of the alternate TV/film versions of DC and Marvel characters are divergent timelines of the TVCU. I believe the TVCM to be a multiverse within a larger megaverse of multiverses which are all part of a larger omniverse. Thus, the DC Megaverse likely contains all previous and current versions of the DC Multiverse and the Marvel Megaverse likely contains all previous and current versions of the Marvel Multiverse, including on-screen versions. And if Marvel ever figures it out, they could still use this to do a Secret Wars movie containing the Avengers, X-Men and Spider-Man. Two final notes. One is that for the TVCU, super-heroes operated in secret, more in line with shows like Buffy, Heroes, or Charmed. Second, previously, I had operated under the premise that everything happens somewhere, and only happens in one reality, but on working on both the Horror Crossover Encyclopedia and the Cartoon Crossover Encyclopedia, both meant as parts of the Television Crossover Multiverse, I realized, with a little help from Scooby-Doo, that sometimes it makes more sense for the same stories to possibly have happened in multiple realities. So in the instance of this Iron Man tale, while this singular story takes place in the TVCU without bringing in the entire Iron Man series, it also happens in the Marvel Universe (designated Earth-616) as part of the Iron Man series. September 1987--POWERKID # 61 AND 62--"Powerkid meets the Star Patrol"-Having lost his memories of meeting the Space Patrol, Powerkid meets the Star Patrol from an alternate future for the first time, after they end up getting tossed back in time. This time, Vronski uses his magic to send them home. Real Life Notes: The Star Patrol canon and mythos contains all the same crossover connections that the Space Patrol had. I used the Crisis as an excuse to modernize the series with a more mature style. December 1990--FINAL CRISIS--Yes, that was the title, so DC, you owe me money. In this story, Doctor Deadly, finishing what he tried to start in the Crisis Within, actually destroys the universe. The next month, the new Super Comics Universe is officially launched, completely rebooting the series. Now, Chris Kowalski is visited by the old wizard Allorin Vonski who bestows on him the powers of the Champion of Earth. This reboot version only lasted a couple of years, before I integrated the those stories into the original canon, combining the two versions into what became the Wronskiverse. But back to the TVCU, for our purposes here, this was the last time Bob Wronski was Powerman. So for our purposes, the effects of what Deadly did with the Universal Transponder simply released an after effect of what the Time Trapper did in 1985. The heroes and villains of Orange lost their powers and the world forgot about them. Bob, having forgotten his heroic past, but having it still there buried deep, starts writing his Wronskiverse, featuring Chris Kowalski as Powerman. March 1994 to July 1998--WEIRD SCIENCE--The events of Weird Science the movie have been rebooted, and this television series has quite a few links of its own to the proper TVCU timeline, which will be discussed in a later blog. So, could the events of the film mixed with the Crisis have caused some kind of wibbly wobbly temporal anomaly in Shermer? During the Crisis on Infinite Earths, it was believed that Earth-5 had been destroyed by anti-matter. But Powerman found it still intact, sort of. It still existed. It was as if all the worlds destroyed in the crisis actually had survived. Since the Crisis, the world had gotten darker. This had been a world where the heroes had all been non powered vigilantes and magical heroes. But in the Crisis, they all left, and when their world was thought destroyed, they didn't return. In their absence, a new type of hero emerged. Vampires, werewolves, and witches became the heroes, and then they became their rulers. But Powerman also found...Powergirl. Well, Powerwoman now. Angela Drawn, who was killed by the Anti-Monitor. But remember how vaporizing Powerman doesn't work? And she had his powers. Her powers protected her by teleporting her away. Only now she was trapped here. The Forbidden Forest of this world lost its power in the Crisis, and Angela never learned how to travel through time and space of her own will like Powerman. Because she had never merged with the Great Unknown. December 2004--DRAWN TOGETHER--"The Other Cousin"--Clara's mentally challenged cousin Bleh comes to visit, and ends up in a relationship with Captain Hero, despite Clara's objections. The "Monkey Man" from THE LOST WORLD has somehow made it to the Live Action Forest just outside the house's yard. He will appear often. At the amusement park, on a roller coaster are a Jakovasaur and Kyle from SOUTH PARK, and THUNDARR THE BARBARIAN and Ookla the Mok. This series has made me accept that wherever an offspring of Zed lives, the TVCU and Looniverse will tend to overlap, along with countless other divergent timelines and dimensions. Thundarr's future didn't seem to be part of the Looniverse, but it's own reality, but perhaps after the series (during the Crisis?) they were transported to the Looniverse. Homer Simpson appears in the background. Bam-Bam Rubble appears as a baby. This is the biggest clue that there is time travel going on in the Looniverse frequently. Later, Toots will give birth to Bam-Bam, thus the appearances of the Flintstones aren't necessarily in chronological order. Foxxy appears to be in possession of the Looniverse counterpart of the the "one ring to rule them all" from Middle Earth. Eventually Clara will steal the ring. March 2012 (episode dated 03/22/2012)--COMMUNITY SEASON 3 EP 12--Abed is visited by his Mirror Universe counterpart, who is attempting to convert his alternate universe counterparts to aid him in his plans to conquer all of reality. Of course, James will be presenting a book post about the truth of the CRISIS ON INFINITE EARTHS soon, and we know that the true evil behind the Crisis was Yog-Sothoth, but it's apparent that one of the chief agents of the old god was Mirror Abed, who had an army of Abeds. Note that Abed was obsessed with Inspector Spacetime, and likely if Mirror Abed could master dimensional travel, he would have at some point encountered the Doctor, who was the inspiration for Spacetime. Indeed, perhaps it was an army of Abeds who were responsible for obtaining the various time devices stored by the Earth Empire of the Mirror Universe in the STAR TREK/LEGION OF SUPER-HEROES crossover. Various time eras overlap. The Legion helps to stem the tide of chaos. This was not my best work. But I was up late bored and so I put this together quickly.